SVS SB16 Ultra and PB16 Ultra subwoofers are almost here. ETA +- 2 weeks. SB16 Ultra : R53990 inc. PB16 Ultra : R62990 inc. If anyone is interested please send me a PM or alternatively contact me on 084 8195103 or send me an email. Stock will be limited. 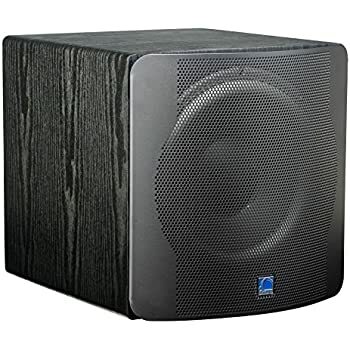 The SVS SB12 was our most successful subwoofer model and we sold out a while back. However SVS had another batch which our suppliers have taken off their hands. So first week November the SB12's will be available again. Retail will be R11990 inc. Still a heck of a bargain for what you get. SVS SB12 NSDs are now available! For comparison, the B&W 610XP, which is R5000 more, is down almost 7 dB to 20 Hz and 6 dB to 25 Hz. This means you need to buy 2 of them (and both must be co-located) just to hang with the SB12 NSD - that is R33K worth of sub. For those who have already ordered, order another one for smoother bass across the seating area in addition to lower distortion and greater clean output. As they say, there is no replacement for displacement. If you are interested please send me a PM, or give me a call and I'll finalise a price for you. oh the temptation for a second one!!! My system is primarily for music. Rnb / soul / dance. Which is more musically inclined? 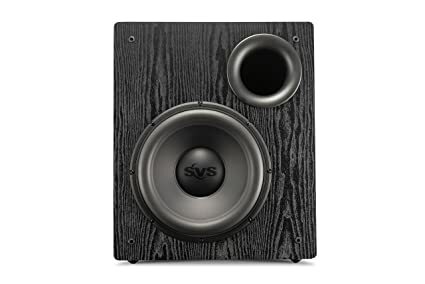 2 X SVS NSD 12"
I still have stock on the SB12 NSD, so for guys looking to supercharge their systems with clean, very deep bass down to 20 Hz (and a bit below with room gain) or for existing owners to add a second SB12 to their systems, please contact me for best pricing. Output below 35 Hz is roughly 3 times greater than the SB12. Normal retail is R19000 inc. We are doing them on special promotion for R12900 inc! While stocks last. 3 SB12's left! Once they're gone, they're gone forever.